Listed over $30K below recent appraisal. Welcome to 7402 Gatewood Drive, conveniently located in the Briargate Subdivision. 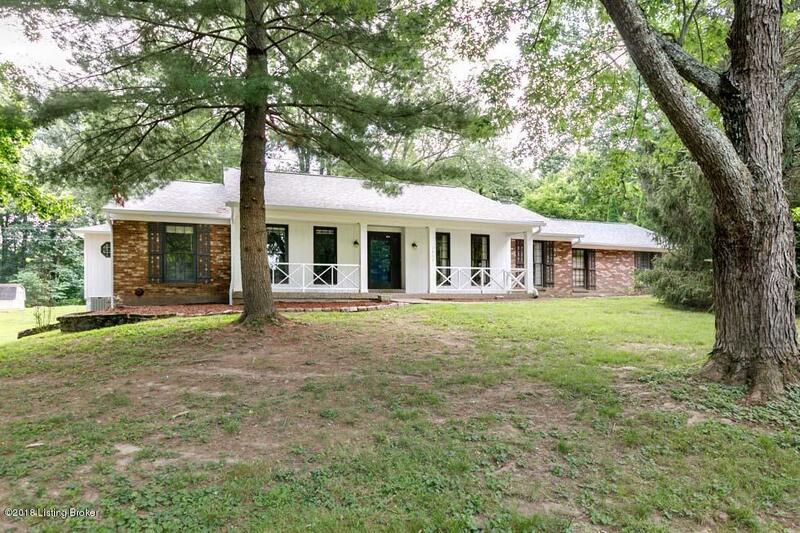 This spacious brick ranch sits on an acre in a park-like setting on a dead end street. The home offers convenient one floor living with no steps from the garage or backyard. As you enter the home there is a large foyer, living room, dining room, eat-in kitchen, den and laundry. As you head down the hall you will find a full bath, two nice size bedrooms, a large master bedroom and master bath. The master bedroom offer lots of closet space and a sitting area. The unfinished basement is huge with lots of potential and has a door to the backyard.The home features a new roof, new gutters and a freshly painted exterior. Lots of work has been to done to this house, now you can come in and make the interior updates to make it your own! Listing provided courtesy of Smith & Wilson Realty. © 2019 Metro Search, Inc. All rights reserved.